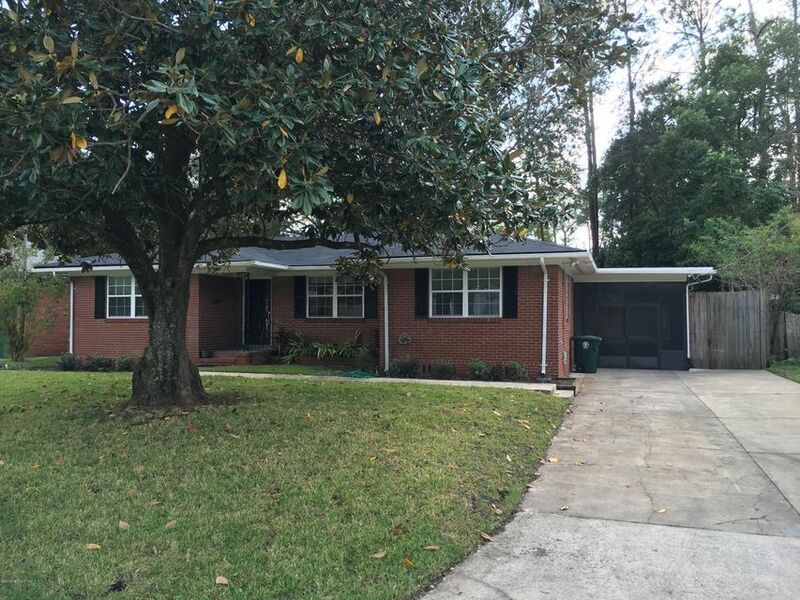 Meticulously renovated spacious Brick home with beautiful refinished hardwood floors throughout. New open concept kitchen with granite counters and stainless steel appliances- new modern bathrooms- New Roof- split bedroom floor plan with large closets- sunroom/ screened porch that opens to an expansive deck area overlooking a HUGE private fenced back yard. Large laundry/ utility room...all in the heart of San Jose! Click here to see more! new 5 ton AC system, & new water heater. New kitchen has custom Tribecca bamboo cabinets with soft close feature, pull out shelves, large island, deep drawer storage, & stainless hardware, eat in nook, deep porcelain sink with sprayer feature & garden window above, 18" tile installed on a diagional, stainless self cleaning oven, smooth top range, French door refrigerator, & built in microwave. Private owners suite has ceiling fan, doors to lanai with in glass blinds, European style glass bypass door closet systems with plenty of drawers, shelving, 6 drawer chest & accent mirror, ceramic tile, separate shower with listelo tile, travertine shelves, & signature glass enclosure, his & her custom floating vanity. Fantastic San Jose location convenient to downtown, private schools, restaurants, marina & boat ramp makes this a great place to call home. 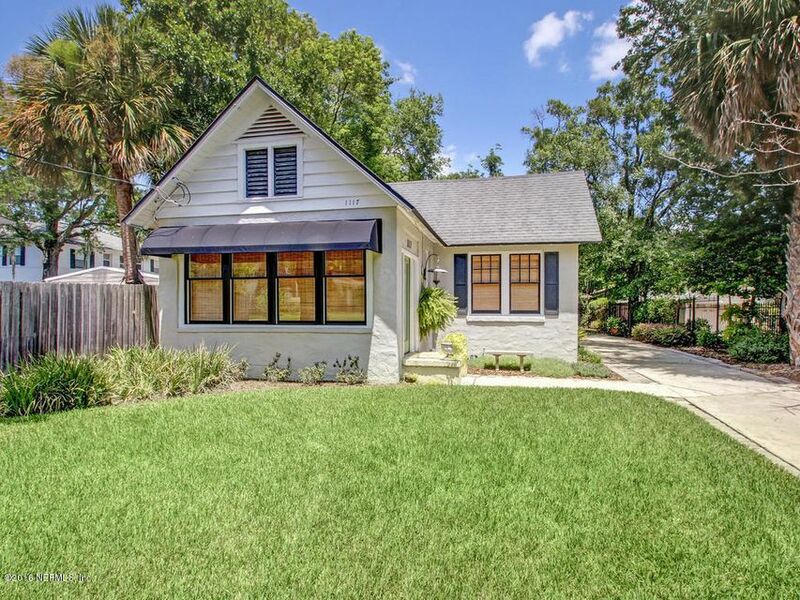 Stroll to San Marco Square for dinner, a movie, shopping or banking from this well-maintained, move-in ready 1936 bungalow. Tasteful updates without compromising yesterday&apos;s charm obvious in every room. Enter home through a light and bright sun room with tongue and groove ceiling, travertine tile and a wall of windows with bamboo shades. French doors open to spacious living/dining area with gorgeous cathedral ceilings, wood burning fireplace and gleaming hardwood floors. Renovated kitchen with 42&apos;&apos; cabinets, stainless steel appliances and granite counters. Neutral colors throughout. Beautiful pergola (w/electric) with pavers ideal for outdoor entertaining, cookouts or family gatherings. 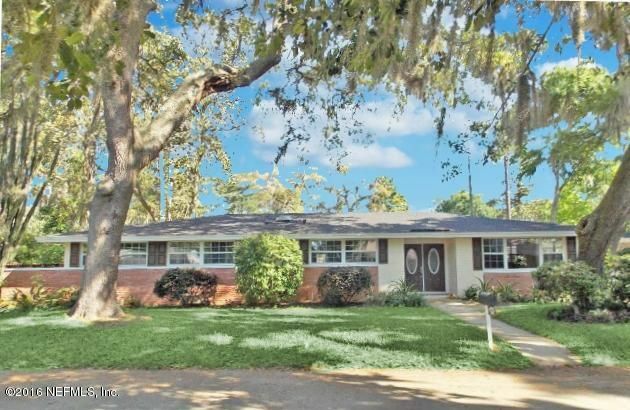 Five minute commute to downtown, hospitals or interstate. Click here to see more! 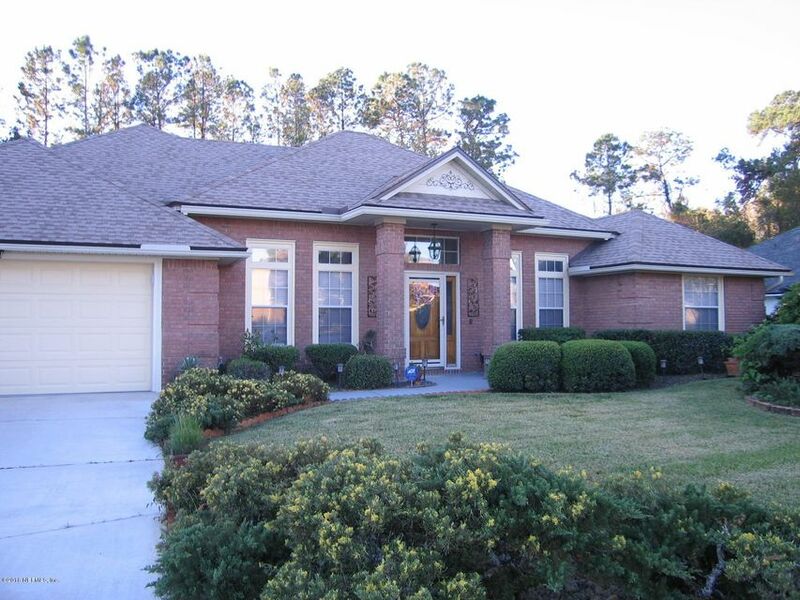 Beautiful wooded brick home in Mandarin! Joined by luscious landscaping and side entry garage. Enjoy granite countertops, new stainless steel appliances and lots of counter space with eat-in kitchen and separate dining room. Living room boasts marble fireplace and 8ft vaulted ceilings. Wood floors and carpet in bedrooms. Walk-in closet in Master BR with french doors. Featuring large Florida room with A/C where you can look out on your over-sized backyard with hot tub on the back patio. Separate laundry room with sink included. Enjoy the community pool and lake views in the subdivision. This home is nestled in an &apos;&apos;A&apos;&apos; school zone! Brand new roof, November 2016. Click here to see more! 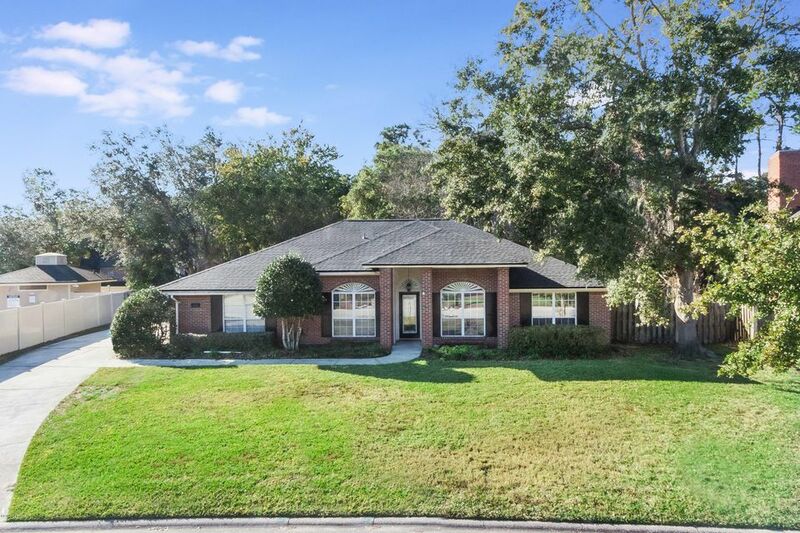 Beautiful wooded brick home in Mandarin! Joined by luscious landscaping and side entry garage. Outdoor concrete bird of paradise FOUNTAIN on a EASEMENT PRESERVE LOT next to a dry creek bed for privacy. OUTDOOR BRICK STORAGE BINS also used for outdoor seating. GAS WATER HEATER & CLOTHES DRYER, FIREPLACE LOGS WITH A FAN for heating & plumbed for gas cooking. Inside LAUNDRY ROOM HAS A SINK, lots of CUPBOARDS and additional SHELVING storing space for pantry items. Bathrooms have ADDITIONAL CABINETS above toilets with towel racks. Garage has PULL DOWN STAIRS to access additional attic storage space. Front landscaping has many well trimmed and maintained foliage. Builder UPGRADED VINYL SOFFITS, LIGHTING. 3 NEW MOTION DETECTOR OUTDOOR LIGHTS, NEW GARBAGE DISPOSER, TRANSFERABLE ROOF WARRANTY, FRENCH DRAINS ON GUTTER DOWNSPOUTS, TERMITE REPAIR BOND in a Pet Free Non-Smoker home. Square footage increased to 2141 sq. ft. with the installation of a new HVAC unit in the Sun Room..Near by boat launch access on County Dock Road or Mandarin Park. This home is a must see for discriminating buyers. Close to everything! 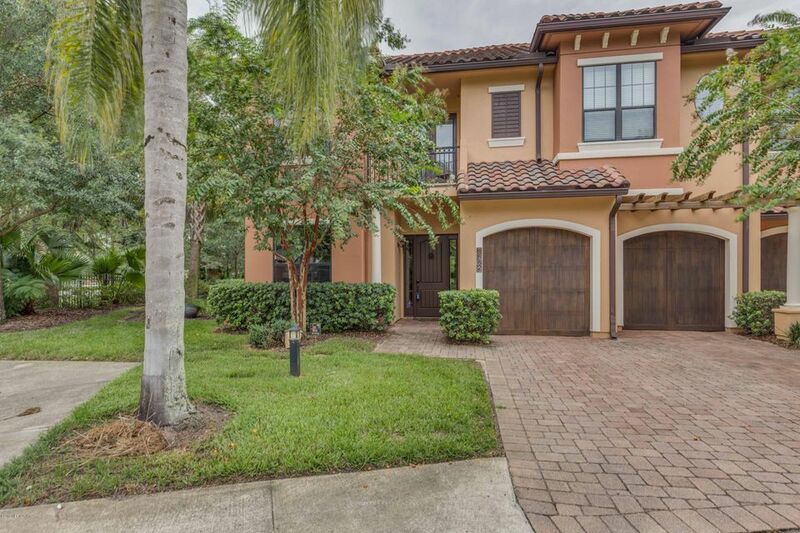 Beautiful & luxurious end unit home in a small gated community. FEATURES A PRIVATE BALCONY OFF THE MASTER BEDROOM AND A SECOND BALCONY UPSTAIRS FROM THE BONUS AREA. THERE ARE 3 BEDROOMS PLUS AN OFFICE/DEN IN 1ST FLOOR, EXTRA CLOSETS AND STORAGE IN THIS HOME. HUGE STORAGE CLOSET UNDER THE STAIRS. MASTER BATHROOM TUB WITH JETS AND LARGE SHOWER WITH TWO SHOWER HEADS. EAT IN KITCHEN WITH 8&apos;&apos; GRANITE COUNTERS AND A BIG ISLAND, TILED BACK SPLASH, UPGRADED CABINETS AND FIXTURES, WET BAR WITH SINK AND WINE GLASS RACK, OPEN FAMILY ROOM WITH WOOD FLOORS AND FIREPLACE, COVERED BACK PATIO. THERE IS A COMMUNITY POOL AND WATER ACCESS TO THE CREEK. WINE CELLAR IS FRAMED FOR FUTURE ELEVATOR ADDITION. Click here to see more!